In the 2019 Honda Insight, you’ll discover spectacular styling, exciting innovation and performance that exhilarates. Here at our new and used dealership, we stock this sleek sedan in a myriad of styles and colors, so finding one that checks off every want on your list will be effortless. Available features like leather-trimmed seats, the One-Touch Power Moonroof with Tilt Feature and Mobile Hotspot Capability will further elevate your ride and complement superb standard Insight aspects like the intelligent Honda Sensing® safety technology and sleek exterior design. Feel free to head on over from Renton, WA so that you can test drive the 2019 Insight here at Honda Auto Center of Bellevue! The Insight is surely a striking sedan and plenty of fun to read about online. However, the experience of getting behind its wheel is the reality you’ll most enjoy. 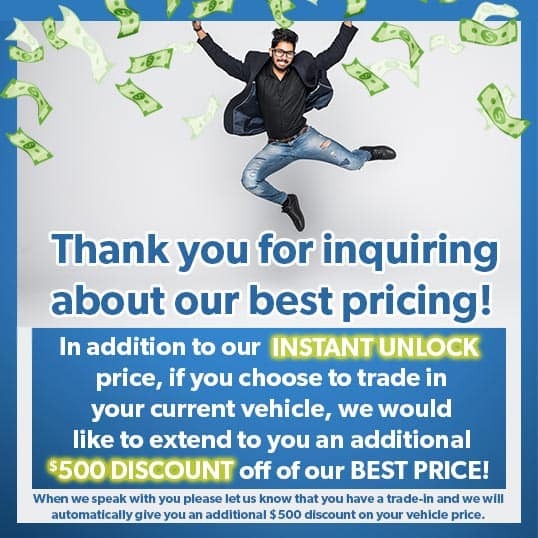 So, after you’ve explored our wide-ranging selection of new cars for sale, feel free to schedule your test drive and head on over to our new and used dealership from Seattle so that you can experience everything first-hand! Our expert teams here at Honda Auto Center of Bellevue are ready and more than happy to support you with any and all of your automotive needs! Interior Features: Automatic Climate Control System, Driver’s and Front Passenger’s Illuminated Vanity Mirrors, Power Windows with Auto-Up/Down Driver's and Front Passenger's Windows, Power Door Locks, Driver's and Front Passenger's Illuminated Window and Door Lock Controls, Cruise Control, One-Touch Turn Indicators, Tilt and Telescopic Steering Column, LED Ambient Console Lighting, Center Console with Armrest and Storage Compartment, Sliding Sunvisors, Door-Pocket Storage Bins (front/rear), Electronic Remote Trunk Release, Headlights-On Reminder, Map Lights, Rear-Seat Heater Ducts, Floor Mats, 12-Volt Power Outlet (front), Rear-Window Defroster with Timer, Cargo Area Light, Illuminated Steering Wheel-Mounted Controls, Beverage Holders, Push Button Start. Exterior Features: LED Headlights with Auto-On/Off, LED Taillights and Brakelights, Security System with Remote Entry and Trunk Release, Fin-Type Roof-Mounted Antenna, Heated, Body-Colored Power Side Mirrors, Variable Intermittent Windshield Wipers, Body-Colored Door Handles. Interior Features: Automatic Climate Control System, Driver’s and Front Passenger’s Illuminated Vanity Mirrors, Power Windows with Auto-Up/Down Driver's and Front Passenger's Windows, Power Door Locks, Driver's and Front Passenger's Illuminated Window and Door Lock Controls, Cruise Control, One-Touch Turn Indicators, Tilt and Telescopic Steering Column, LED Ambient Console Lighting, Center Console with Armrest and Storage Compartment, Sliding Sunvisors, Door-Pocket Storage Bins (front/rear), Electronic Remote Trunk Release, Headlights-On Reminder, Map Lights, Rear-Seat Heater Ducts, Floor Mats, 12-Volt Power Outlet (front), Rear-Window Defroster with Timer, Cargo Area Light, Illuminated Steering Wheel-Mounted Controls, Beverage Holders, Push Button Start, Rear-Seat Center Armrest. Exterior Features: LED Headlights with Auto-On/Off, LED Taillights and Brakelights, Security System with Remote Entry and Trunk Release, Fin-Type Roof-Mounted Antenna, Heated, Body-Colored Power Side Mirrors, Variable Intermittent Windshield Wipers, Body-Colored Door Handles, Smart Entry with Walk Away Auto Lock®. Interior Features: Driver’s and Front Passenger’s Illuminated Vanity Mirrors, Power Windows with Auto-Up/Down Driver's and Front Passenger's Windows, Power Door Locks, Driver's and Front Passenger's Illuminated Window and Door Lock Controls, Cruise Control, One-Touch Turn Indicators, Tilt and Telescopic Steering Column, LED Ambient Console Lighting, Center Console with Armrest and Storage Compartment, Sliding Sunvisors, Door-Pocket Storage Bins (front/rear), Electronic Remote Trunk Release, Headlights-On Reminder, Map Lights, Rear-Seat Heater Ducts, Floor Mats, 12-Volt Power Outlet (front), Rear-Window Defroster with Timer, Cargo Area Light, Illuminated Steering Wheel-Mounted Controls, Beverage Holders, Push Button Start, Rear-Seat Center Armrest, Passenger-Side Seatback Pocket, HomeLink® Remote System, Dual-Zone Automatic Climate Control System, Leather-Wrapped Steering Wheel, Automatic-Dimming Rearview Mirror. Exterior Features: LED Headlights with Auto-On/Off, LED Taillights and Brakelights, Security System with Remote Entry and Trunk Release, Fin-Type Roof-Mounted Antenna, Heated, Body-Colored Power Side Mirrors with LED Turn Indicators and Chrome Accent, Variable Intermittent Rain-Sensing Windshield Wipers, Body-Colored Door Handles with Chrome Accent, Smart Entry with Walk Away Auto Lock®, LED Fog Lights, One-Touch Power Moonroof with Tilt Feature.